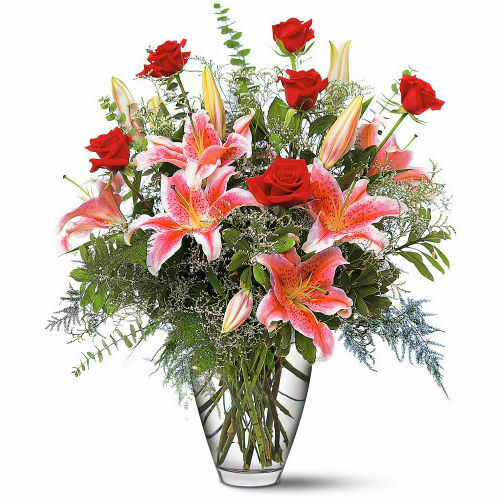 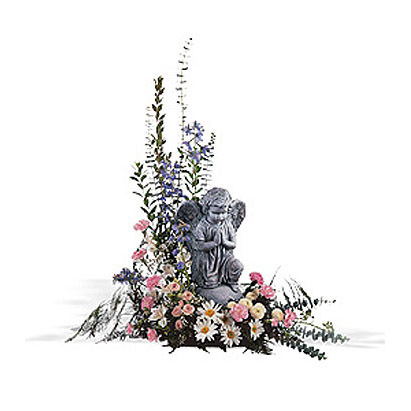 SW-144 Red roses accented with Stargazer lilies is a lovely expression of sympathy. 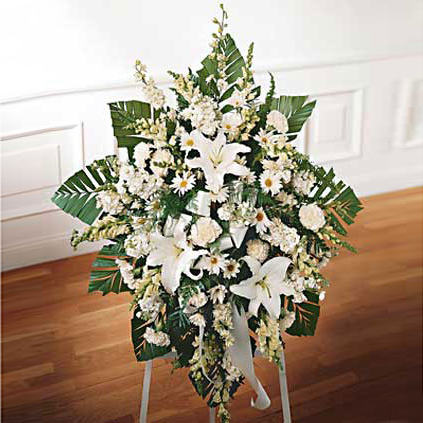 This vased arrangement can be delivered to the home or the service. 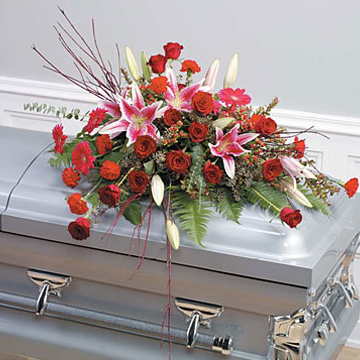 Red roses accented with Stargazer lilies is a lovely expression of sympathy. 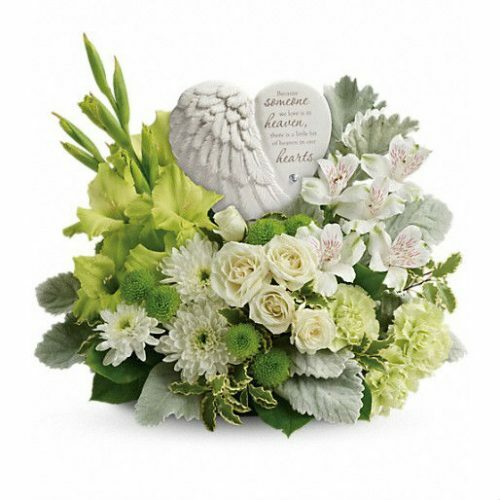 This vased arrangement can be delivered to the home or the service.